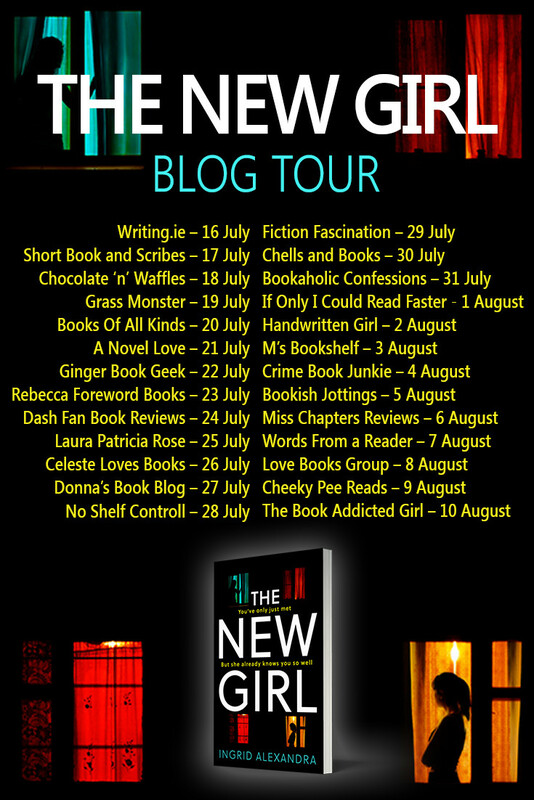 Today brings my stop on The New Girl Blog Tour, Ingrid's debut novel. I am delighted to have Ingrid on the blog sharing with us her writing journey. The writing process for this novel was very different to my usual approach. In fact, up until recently, I’d been more or less experimenting and hadn’t quite found a rhythm or ‘formula’ that worked for me. I suppose that, while now I certainly have more of a plan before I begin writing, there are so many factors that contribute to how a novel is born and how it is written. My first awkward attempt at writing a novel, although it ended up as more of a novella, was in my mid-teens. I used to write as inspiration came and would just get words down lightning-fast without much thought about where it was going, only a loose idea of the genre it might fall in to, the ‘type’ of story I wanted to write – a coming of age, a love story, a YA thriller – and the ideas just kind of poured out of me. The stories weren’t bad, but that approach was a good way to make a huge mess of the plot and remain unsure of the core of the story I was telling. Writing came naturally, but plotting didn’t. At some point I knew without a doubt that, no matter what else might be happening in my life, at some point I wanted to be a published author. And I knew I needed to work, and persist, to make that happen. So I took a couple of courses, and kept writing over the next few years. After completing several novel-writing courses and working with a mentor I managed to refine my plotting skills, and since then I’ve become decidedly more of a planner than a pants-er! Now everything is mapped out from beginning to end before I put pen to paper. I find this a much more productive way to get a story down, and it certainly results in less re-drafting! It was a steep learning curve and many years before I got to this stage. Some might succeed quicker if they learned to take constructive criticism sooner than I did. The timeline for writing THE NEW GIRL (originally entitled BLANK SPACES) was unusual, and certainly not how I have gone about writing a story before or since. There was a lot going on in my life between the novel’s conception and its completion. I came up with the idea in 2012 but I didn’t start writing until the end of the following year. I focused on other projects during 2014, finished the first draft in 2015, re-drafted in 2016, then completed the final draft in early 2017 at which stage I was pregnant with my son . I was actually in the hospital for a scheduled induction when several agents offered representation – I was literally fielding offers from my hospital bed! Of course I chose my wonderful agent Lorella and shortly afterwards I received an offer of publication from Avon, Harper Collins UK. It's been a long journey, but I’ve never given up! I feel very privileged to be where I am today.